Disney World’s Christmas Party Pumpkin Spice Waffle Copycat! 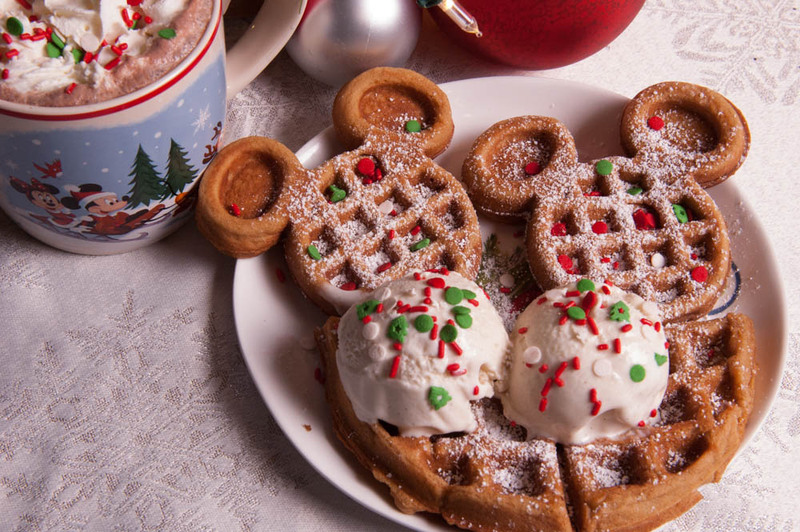 2 Comments on Disney World’s Christmas Party Pumpkin Spice Waffle Copycat! The Pumpkin Spice Waffle is a favorite at the Christmas Party. 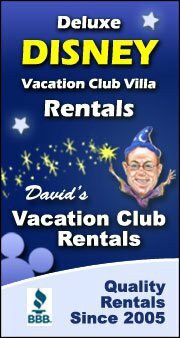 If you can’t make it to the parks this season, this treat will help ease the pain a bit. I’m also one of those people who really get into the pumpkin spiced trend. Call me basic! I don’t care because this recreation of the popular dessert from Disney World makes me and other Disney fans feel right at home. Also, someone who doesn’t have a lot of time on her hands, like most others, I wanted it to find a simple way to enjoy it. I tried some recipes and instant mixes, but rumor has it that the waffle mix I ended up using is the actual waffle mix they use in the parks. Can’t get much more authentic than that! It’s a simple recipe you can make with kids or on Christmas morning without it being a stressful activity. If you don’t have a waffle maker, you can make a pancake version instead. 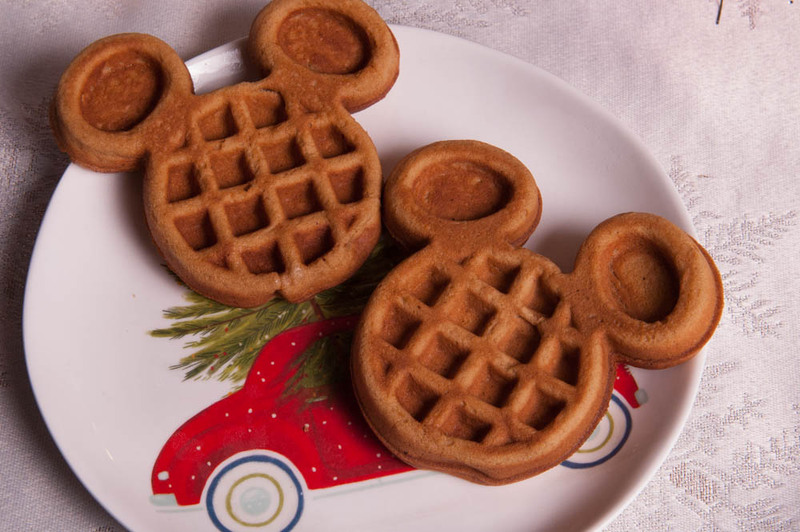 But, if you’re in the market for one, the mini Mickey waffle maker I got from Amazon worked really well. 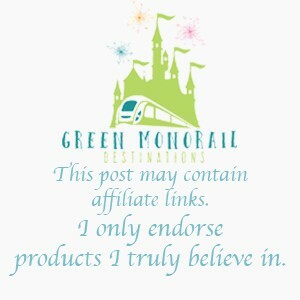 Make it an event and pair this festive sweet with one of the Disney holiday movies I suggested in my previous blog here! 1) Waffles: You have a couple choices here, ranging from super simple instant mix to baking from scratch. Carbon’s Golden Malted Waffle and Pancake Flour is my favorite because it’s the brand Disney uses. Unfortunately, they no longer sell this special flavor on Amazon, but they do have the plain flour which you can spice up with my suggestions below. You can also use the instant mix from Williams Sonoma which is already seasoned with pumpkin spices. If baking from scratch, here’s a recipe from Cooking Classy. 2) Ice Cream: Vanilla Bean is the flavor they use at the parties, but feel free to get creative here. Try flavors that compliment the spices like chocolate or coffee ice cream. Can’t go wrong with ice cream! 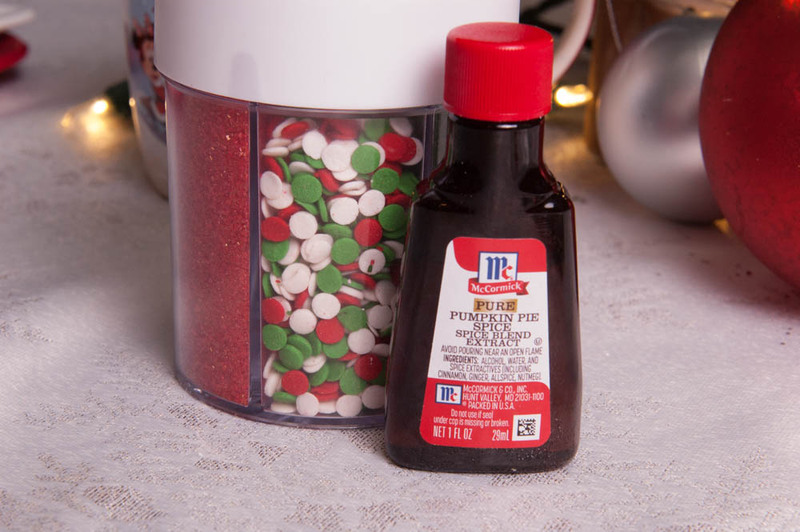 3) Sprinkles: Wilton’s Holiday Sprinkles is the classic brand that Disney uses and it’s pretty cheap on Amazon. I bought the combination pack with 6 different types of sprinkles and used the confetti and trees for the ice cream. Save the rest for sugar cookie decorations! 4) Sifted Powdered Sugar: Obviously any brand will do here. You can also top off your creation with some cinnamon and cardamom to make it extra pumpkin spice-y! Well, there it is! 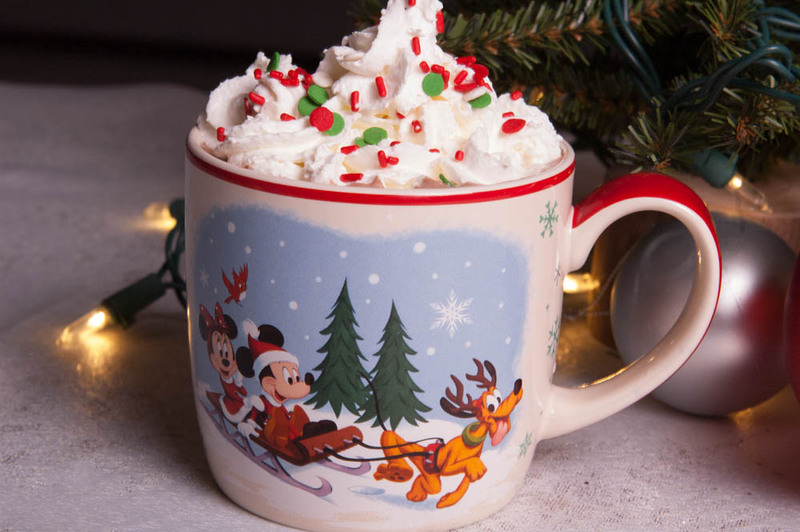 You’re very own slice of Disney all wrapped up in holiday goodness. Snuggle up with a blanket and a friend, turn on A Muppet Christmas Carol, and have at it! Go crazy and grab a pumpkin spiced eggnog while you’re enjoying it. Happy holidays, everyone! Pingback: 14 AMAZING Disney Copycat Recipes to Make at Home! Animation Courtyard: Disneyland's Best-Kept "Secret"